With a colourful translucent barrel these Bic pens rize to meet expectations. 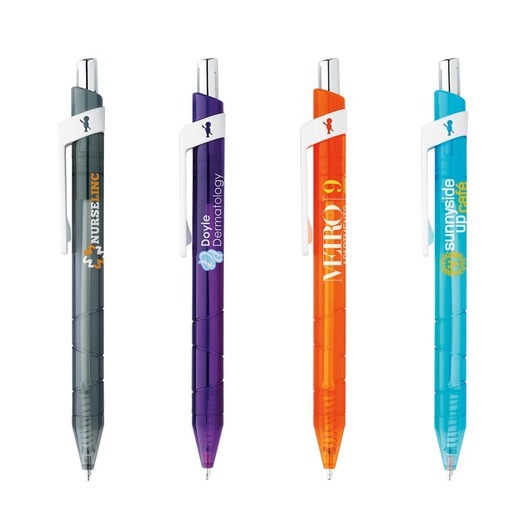 With colourful translucent barrels these plastic pens really stand out from the rest. They host a white wrap-around clip that features a die-cut Bic boy as well as a textured gripping section and chrome-plated plunger. Your choice of 7 fabulous colours, choose the one that best compliments your branding. The perfect pen to get your logo or branding message remembered.